I live in San Francisco, where I can’t go a day without hearing how unaffordable it is to live here. The media loves to excoriate the tech companies for pricing out poorer residents who’ve been here for decades. Ironically, the majority of techies themselves can’t afford to rent a $3,500 one bedroom apartment or buy a $1.1M median property by age 30 because they are relatively underpaid! It is VERY bad form to buy a property with long term tenants, boot them out through an Ellis Act eviction, remodel, and then flip the property for a profit. It’s also terrible to buy a property with the intention of replacing long term tenants with yourself. Folks, please buy a place that does not displace existing tenants! It’s cruel to make people move out of homes when they’ve lived there for decades. There are plenty of other properties sitting underutilized or vacant to choose from. Perhaps you also live in one of the many crowded cities in the world where rent and real estate prices have made living unbearably expensive. Your teachers, artists, writers/bloggers, musicians, and public servants are getting pushed out. Traffic has become unbearable. And your neighborhood is getting homogenized, much like it is at work. Let me offer three immediate solutions to the housing affordability crisis. When I first moved to San Francisco in 2001, I went on Craigslist and rented a room in a crappy two bedroom, one bathroom, walk-up apartment in Chinatown for $1,850 total (Powell and Jackson St). The noise was unbearable, but the ad called so I filled it. I wanted to live in Pac Heights, The Marina, Cow Hollow, Russian Hill, or Telegraph Hill for $2,500+, but that would have blown my budget to smithereens. I felt it was necessary to make some sacrifices in my 20s in order to maximize my savings to one day buy and get neutral inflation. If you think Chinatown is noisy and dirty today, it was much noisier and dirtier 15 years ago! I bought my first condo in 2003 from a retired woman who wanted to move to Oakland for the warmer weather. The place was a humble 2/2 with 990 sqft that hadn’t been updated since 1970. It wasn’t my dream property, but it was what I could afford. No disruption here as two people moved in for her one departure. In case you’re wondering, it felt just as expensive in 2001-2003 as it does now. Living in a studio with another guy for two years out of college in Manhattan, sharing a 2/1 near Chinatown for a year with a couple strangers in SF, and splitting a small 1 bedroom with my girlfriend for another year while saving and investing the majority of my income allowed me to come up with the downpayment. It wasn’t fun to constrict spending so much and share tight quarters, but it was worth it in the end. In 2005, I bought a house in the north end of SF from a Texas-based oil retiree who was renting the property back to the previous sellers for one year. The Texan later decided he wanted a one story house as his knees were bad, so he sold it to me and never moved in. Meanwhile, the rent-back tenants bought a new house down in the Peninsula. In order to help them settle their affairs, I was happy to let them continue renting back for two more months. No disruption. Waiting two months to move into my new home was not a big deal. Two people out, two people in. For nine years this north end house was underutilized, housing only two people for most of the years. For a couple years, I rented out the downstairs bedroom to a middle school teacher for 50% below market rent because I’m very pro education. She made under $30,000 a year, but got to walk to the middle school where she worked, which was awesome! The house now houses five people, reducing the demand for housing by taking 2-3 people out of the rental market. No disruption. In 2014, after renting out this north end house, I moved into a vacant fixer upper on the much cheaper western part of San Francisco in the Inner Sunset area. The original owner had moved up to Washington to be with her sisters before she passed away. For the past two years, I’ve spent money remodeling and doing some landscaping. Again, no disruption, only neighborhood improvement. No Disruption + Increased Housing Utilization = Less Demand. Less Demand = Less Competition = Lower Prices. Lower Prices + Less People Who Get Disrupted = Happier People With More Disposable Income. Below is a clear illustration of how much better it is to maximize utilization of existing infrastructure and inventory. Underutilization = 60 people in 60 cars. Maximum utilization = 60 people in 1 bus. Let’s focus on increasing occupancy in every single property. Move into empty space, don’t disrupt existing space! Here my friend was, living in a studio in the Tenderloin district, the worst district in San Francisco where drug dealers and pimps proliferate, calling the western half of the city the “Asian ghetto.” He couldn’t afford to buy a two bedroom condo downtown, yet was turning his nose up on buying a beautiful house for a lower price out west. As a Chinese-American, I didn’t know whether to be insulted or amused. I realized long ago that almost every ignorant statement is due to a lack of education. My friend has never spent much time in the western half of San Francisco, where it’s peaceful, has fantastic ocean views, diverse food, diverse people, cheaper services, and the wonderful Golden Gate Park. I myself didn’t realize there was a place called Golden Gate Heights, which has homes with panoramic ocean views, until I spent several weekends driving around the area looking at open houses once a large CD came due in early 2014. I’d often called the western area “the boondocks,” even though it was just three miles west of where I used to live. Here’s a great example of my own ignorance, born out in a post called, “How Do People Afford To Live A Comfortable Life Making Less Than Six Figures In An Expensive City?” New Yorkers, who do live comfortable lives, pounced on my post and shared how they make things work. I was familiar with only expensive Manhattan and ignorant about the other boroughs and lifestyles people lead. Heck, I lived in a downtown Manhattan studio with another dude back in 1999-2000 because it was so expensive! I’m glad others helped set me straight. Nobody deserves to live in the most expensive neighborhood. Demand is way too concentrated in the eastern and northern neighborhoods of San Francisco. Spend 15 – 20 more minutes commuting from western San Francisco and you’ll save 40% – 60% on rent or purchase price. It’s that simple. But whenever I reach out to a reporter or someone who writes about the high cost of living, they refuse to acknowledge the choice of commuting as a way to afford more. They would rather profile the person getting pushed out of their home in the Mission (an important topic), or why it’s so expensive to live in the hottest neighborhoods, rather than profile the thousands of people who live in the Outer Sunset who are doing just fine. Solutions are much better than pontificating on the past or pointing fingers. If Manhattan is too expensive, move to Queens. If the west ends of Vancouver and Chicago are too expensive, move east. If Santa Monica is unaffordable, move south. If you can’t afford Honolulu, move to Waianae. Eventually, those non-prime areas will rise in value too as population continues to grow. The people who live in expensive neighborhoods were there before you. And if there are new buyers in your desired neighborhoods, they probably saved and earned enough money to afford it more than you. Regular Financial Samurai readers know how much I emphasize aggressively saving and investing over time to be able to achieve financial independence. When your time comes, take advantage. In the meantime, learn how to properly asset allocate your portfolio, build up multiple income streams, and start a website to give yourself more leverage. While you’re at it, read everything you can about real estate so you will be absolutely prepared when it comes time to make a move. The same people complaining about the cost of living without being willing to move sound like the same people complaining about not getting ahead at work without putting in their dues. Nobody gets to go straight to the corner office after college, just like nobody gets to buy a mansion at the top of a hill without doing something amazing for a very long time. We must earn what we deserve. This does NOT include those of you who think you deserve to live somewhere just because you have the money to buy a building and evict a tenant. Move west, save 40% – 60% on rent and purchase price on average. All this talk about building more affordable housing is great for the long run. Increasing public transportation routes is great too. But how does this help people NOW who have trouble affording a comfortable place to live? It doesn’t, unless you somehow win the housing lottery or the actual lottery. I’m priced out of the northern SF neighborhoods so I moved west. Would I love to live in a 3,800 sqft Pacific Heights home for $6M with a view of Alcatraz and an outdoor blogging hot tub? You bet your buns of steel I would. Alas, I didn’t make enough money during the downturn to get in, and now I’m priced out. I accepted that fact and searched elsewhere. Now, I live in a cozy ~1,900 sqft home in the western part of San Francisco that’s good enough. The commute into downtown is 15-20 minutes longer that in the past, but that’s the sacrifice I’m willing to make to save money. If I one day get priced out again due to opportunity cost, I’ll move once again. For folks who believe expensive cities like San Francisco, New York, and LA are the greatest cities in America, you might be right. However, if you ever venture out of your bubble, you may also discover there are plenty of other great places to live that are overall, much cheaper. Final suggestion: Pass a law that profits high income earners (e.g. $200,000+) from being able to live in rent controlled apartments. We all know that rent control artificially limits the supply of housing and causes rents to increase for the rest of us. If you have a Google employee making $200,000 and living in a rent controlled apartment, he’s got to go. Real estate is a key component of a diversified portfolio. Real estate crowdsourcing allows you to be more flexible in your real estate investments by investing beyond just where you live for the best returns possible. For example, cap rates are around 3% in San Francisco and New York City, but over 10% in the Midwest if you’re looking for strictly investing income returns. Sign up and take a look at all the residential and commercial investment opportunities around the country Fundrise has to offer. It’s free to look. Updated for 2019 and beyond. Rents are finally softening a little bit as more supply comes on the market. It seems like prices have finally reached a boiling point. My readings suggest that increasing your commute to work is not cost-effective for most Americans in larger cities. 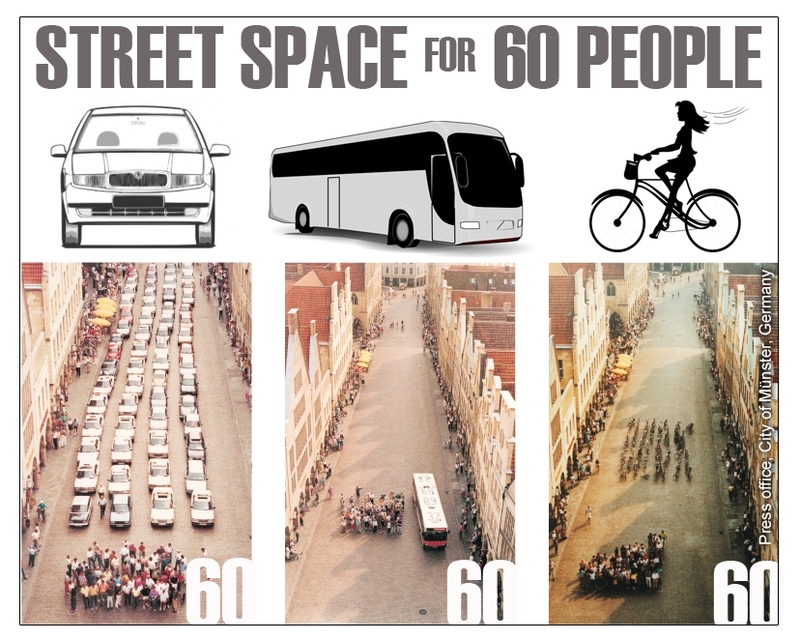 However, I believe this is pretty much a function of local transit – if you live in a city or region with good transit, say NYC metro, SF Bay Area, Portland – a longer commute can save you meaningful money, and increasingly, also time, as traffic congestion intensifies. As a pessimistic poor person, I see inequality in places not even acknowledged by social justice warriors (SJWs). There is vast “living space inequality” in this country, with millions of large single-family houses occupied by empty nester singles and couples, while many other homes are overcrowded – currently I live in a 3BR/1BA house with 9 occupants, and people living in living room, garage, dining nook, and an RV on the property. Great insight Sam. You’re right, there is a housing crisis and people can take more measured approaches and actions to help alleviate the problem. I don’t like living in Ohio but it makes sense because my investing dollars can go a lot further here than on one of the coasts. One day when my passive income really is enough to compete, I may be a neighbor. For now, I’ll keep saving money and living the midwestern life. I solved my housing issues by renting a tiny 450 sq. ft. apartment that includes all my utilities and parking in a very nice part of town. Please see my new blog where I share my weekly networth, budget, and savings tips at gettingtoonemillion.wordpress.com. Why live in something that costs $1,000 per square foot when you can go somewhere else for $100 a foot? Seriously, people could just leave and move to a cheap part of the USA and take a lower paying job and pay less taxes. Let’s say someone owes 400k on an SF property now valued around 900k, that equity could pay for a house and a 4 unit rental property in many parts of the USA. No mortgages, 4 rent checks a month, and all you had to do what give up your tiny overpriced pad in SF. 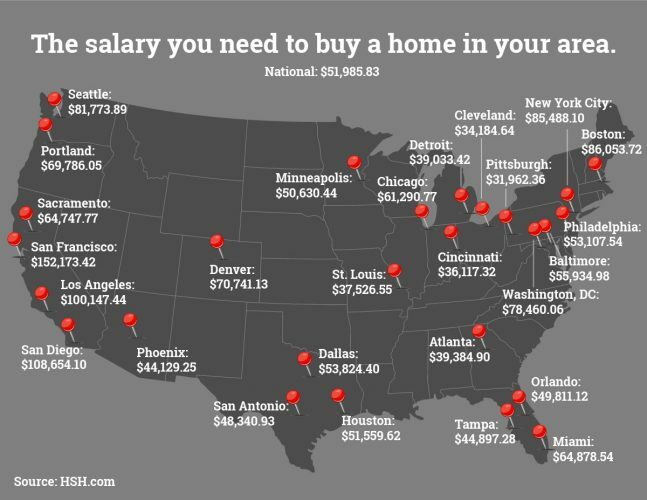 I’m making roughly the median wage and living in west la. 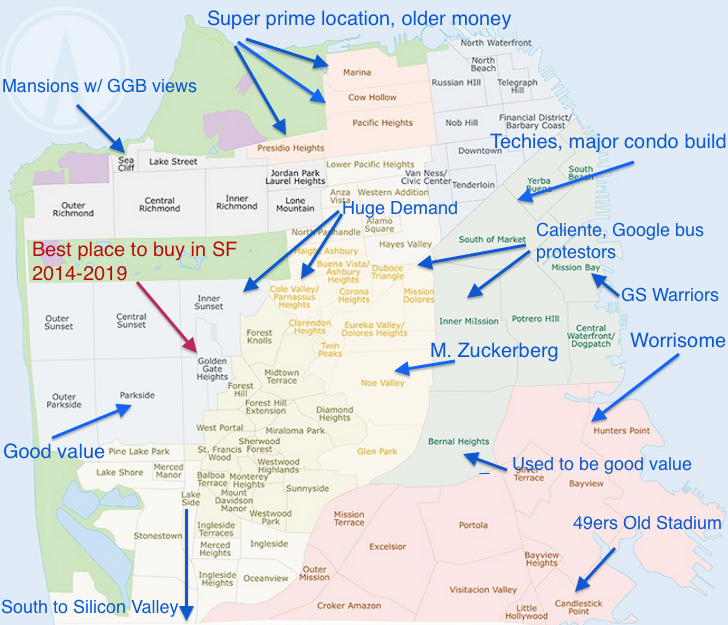 I sure would love a map of good places to buy like the map you drew for SanFran. The reality is I can’t afford much. I’ve seen a lot of homes in my range purchased at foreclosure auctions for 400k cash and flipped for 550k. If I purchased those then that would wipe out my down payment and hand it over to flippers but I can only afford the 400. There is not enough supply for me and I’m not comfortable overbidding for something that has a history of boom and busts. How much more appreciation in home prices can we see? Interest rate have been dropping since 1980. To see similar appreciation I would need negative 5 percent rates in ten years (highly unlikely). People are not rational with borrowing money. Again we see 3 percent down with low rates. No one talks about the correlation with interest rates and home prices. People go to the bank to determine the most they can afford monthly. The lower the rate the more they can borrow. The way I see it is the interest is now built into the home price but you have no opportunity to pay off the loan quickly. There was an incentive to pay mortgages off faster when interest compromised a large portion of the payment. Today it’s all principal. I would love to own but making the median doesn’t work well with my plan. I’ve saved quite a bit over four years since graduating making nothing but it hasn’t translated into a home purchase because of the appreciation that has largely negated my down payment. Every dollar I save it gets me one dollar toward my home. Every dollar Of income gets multiplied by 5-7 times. I’m seriously considering putting nothing down since buying in metro areas is literally a crap shoot if interest rates aren’t lowering or inflation isn’t running rampant. Thanks for the article. Very interesting points. My city (Raleigh NC) is not unaffordable by any means, but it’s getting more and more difficult to find deals as far as investment properties go. Pretty much anyone I talk to who invests in this market laments the lack of deals but don’t really feel comfortable looking outside the city (and even then, they think Durham versus Garner/Knightdale/Fuquay/Holly Springs). So I’m starting to look on the periphery. There is one town to the east that is only 15 minutes from downtown Raleigh, getting lots and lots of development, etc but has won “most affordable town in NC” two years in a row now. Am I going there tomorrow to look at property? You bet your buns of steel I am. I appreciate the detailed map of San Francisco and the very good post. Also like all the intelligent, thoughtful replies. However, I always find it puzzling that so many folks try to cram into the City and absolutely ignore the excellent opportunities in Santa Clara Valley. I live in (yes, don’t chuckle) San Jose. And what do i get here that the City cannot offer? 10k sf ft acre lot with nice big trees and cute suburban 1900 sqft house for <$1M. I see them here and there for between 700k-1.1M and no, you do not "have" to live in cupertino to have a great life, smart neighbors and good schools. Great neighbors and high neighborhood stabiity. There's a real sense of peace found in the neighborly manner I have experienced here. The City s exciting and fun – but I'll take this over all the noise and crowds any time. it's not an unbalance social "man Jose" as some deride it – try it! you'll be very surprised. San Jo You Know! Isn’t SJ consistently #1 in terms of job opportunities in the national surveys? I think so. People really need to broaden their search. I drove around there once, stuck driving for Uber and I found it to be quite pleasant! Indeed! My point of my last paragraph in this article. And if one can earn a living online, then all the more reason to move to a lower cost area. Good article. 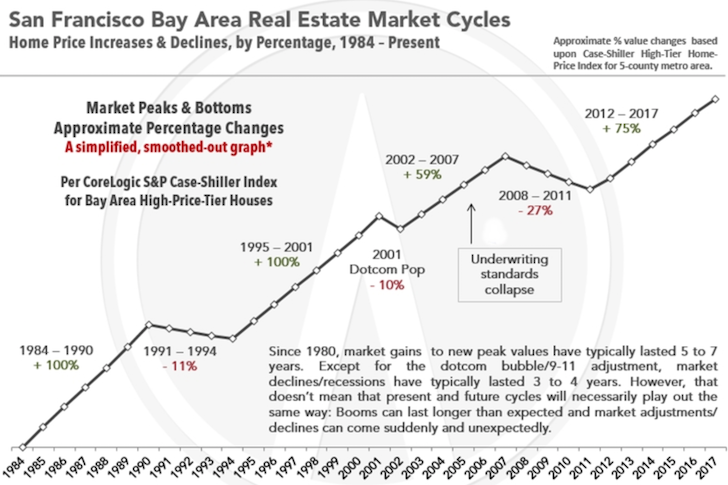 We bought in South San Francisco in 2011 when prices receded a bit due to subprime. Friends and family sneered a little bit because it’s considered an older working class suburb and not hip in the least. But we knew that the reality on the ground – it’s more white collar (biotech) than industrial nowadays and improving rapidly. And we’ve been vindicated. The area has gentrified and our home nearly doubled in value. Meanwhile, friends who insisted on living in the City – anything in the City – are suffering under enormous mortgages in neighborhoods far worse than ours. You pay a big price when you care too much about what other people think or tie your identity to a certain place. Nice job getting in, in 2011! Exactly. It’s amazing how they are so snobby about where you live too. WTF. Thought provoking post. But that’s the reality of the world we live in these days. In the greater NYC area, where commute factor is so significant, people make the choice to live in far away suburbia(as opposed to some closer suburbs) albeit quite grudgingly so they can actually afford a decent place of their own. With the ever increasing property taxes here in the tri-state area and the other costs associated with home ownership, it’s a choice many have little control on. Well said, Naresh. Something I’m currently dealing with as my wife and I are searching for our first home in North Jersey, commutable to our jobs in Midtown NYC. What’s the property tax rate now in NJ? Here it is 1.2%. That is damn high. So, $22,000 in property taxes for a $1M home. Was in Princeton, NJ last year. Nice place. But, surely there are much nicer places to live than in NJ! At least San Fran has an industry. The tech industry. Vancouver in Canada is even more expensive and has no industry at all just Asian investors. That’s what I’m wondering. What is the industry in Vancouver that is making prices so ridiculous? could it really be only the Chinese investor buying everything? If so, everybody else has to watch out, b/c if China starts focusing as much on a city like SF, then things could really get out of control. We have dime a dozen $100,000+ jobs here. Seriously, everybody several years out of school are making good money that support our prices. I suppose my situation is a little different. Everyone is always looking to live in a safer neighbourhood (lower chance of a home invasion by AK47 wielding gunmen or hijacking in your driveway). So much so that people sacrifice their commute for it. The north end of the city is bad during peak hour traffic. I live in an area where people generally turn their noses up at. But I have a shorter commute and less traffic to fight. I really wish we had a reliable public transport system. If I had to use public transport, I would have to travel east into the city and then travel south and my return trip home would also be back into the city and then west home. My commute would be around 4 hours a day! I do want a nice house of my own but I’m pretty torn. I want a big house because I want a big space to live in but goodness knows I know about the upkeep and maintenance of a house! so I know it makes mores sense to look for a small place. Also, over here, Landlords can’t kick tenants out without finding them alternate housing which the tenant has to approve of! Besides tenants are notorious for trashing the place. so much for making money from rent! I agree that you can always find value in top tier cities although value is relative. When I look at a property to purchase, one of the first things I like to figure out is how much the property could rent for at a fair market rate. I calculate basically a P/E ratio on the property to be able to compare properties in different cities. What’s interesting about this practice is that you find some real estate is “growth” and other real estate is “value” meaning some real estate trades at a lot higher multiples than other real estate. For example, I currently live in the midwest (I would probably die if I fell asleep outside in the winter) but grew up in Miami. The real estate in the midwest trades at much lower multiples than the real estate in Miami, and will provide a better rate of return while being held. However, the rate of appreciation in the midwest is almost non-existent whereas real estate in Miami goes through cycles of incredible booms and busts. Both are fine to hold, but the value properties will give an income stream whereas the growth properties will give appreciation. I think San Francisco like New York are much more “growth” oriented real estate cities with properties in general trading at high multiples of their potential cash flow through rent. However, even in these cities by doing what you posted about you can find pockets of value. (IE buying a foreclosure in Golden Gate Heights). I haven’t bought anything in San Francisco, but I was able to pick up a property in South Florida in 2011 out of foreclosure. It seems the best time to buy in growth cities is when everyone knows real estate is terrible investment. Nice job buying in 2011! I’m always envious if the rental yields of Midwest property. However, I’d have to buy a lot to make it worthwhile for me at this stage. I’d rather just buy a great property to live in for 5 years, and then rent it out for hopefully a great price. Agreed – I work in Charlotte but live 1/10th a mile over the state border in SC so my property tax is dirt cheap (~1300/yr vs 3500/yr for same value in Charlotte). Plus, the house was cheap–< $250k for 2400 sq ft 2 car garage). In the middle of refinancing into a 15 yr fixed that will total $1550/month including taxes and insurance at 2.875% with almost no closing cost. Where we bought, no one at my new job had recommended it as an area to look – most live east of Charlotte with a longer drive in and more expensive houses or even worse – north with a 45-60min commute. I found the suggestion online and glad I looked into it. As a bonus, gas in SC is a lot cheaper than in NC. I got $1.35 the other day. I work in south Charlotte so my commute is only 15 min each way as well. Amazing how awesome it feels to live within your means and still make the same amount of income yeah? Moving into my existing house in 2014 by “right sizing” feels amazing every single day! Nice post. I agree with all 3 points that you raised, they would be good fixes. Cities are very big places and if most people were willing to look a bit further out they’d find much more affordable places, but still within the city’s metro region. In Australia most people live in a city, with most of the cities being very high on global ‘unaffordable city lists’ on metrics like price-to-income and cost of the home. We decided we didn’t want to put a huge portion of our income to housing, so I live an hour away from my job, we live on the outskirts of Melbourne (and we’re working on making an income away from the office that doesn’t need commuting to). There are a huge amount of large apartment buildings being built in Australia, particularly in Melbourne. This is a great use of space as, for the same land space of a large family home + garden where 5 people are living, you can build something which houses dozens if not hundreds of people. This is completely a good thing, but some Australian laws are negating the benefits. There is a particular law that foreign buyers can only buy new property (newly constructed eg apartment buildings). The problem is that after the Chinese buyers have bought an apartment for investment purposes, they prefer to leave it empty and forgo rental income (and just hold it for a capital gain. At night you can see how empty the newer buildings are with how few lights are on (compared to many of the other older apartment buildings, which have lights on), a very unintended and unfortunate consequence. If there’s more people moving to cities there needs to be more dwellings available. I can’t believe anyone would say that an extra 5, 10, 15 minutes commuting is worth paying $50K, $100K, $200K+ for, unless you’re earning huge amounts of money. If you find a job you don’t need to commute for..then you can live almost anywhere. If everyone accepted the financial position that they’re actually in, not one they’d like to be able to be in (as the bank’s loan manager smiles giving you a mortgage you can’t afford) then we’d all be in a much better place. I looked at investing in Australia and specifically Melbourne. Housing prices are inexpensive relative to San Francisco. Particularly in high end neighborhoods like Brighton, Toorak etc. Equivalent places in Pac Heights & Cow Hollow here in SF are at least 2-3 times the price. However, rents are correspondingly low in Melbourne whereas rents in SF are extremely high. I will say that the cost of everything else in Australia like food, alcohol, clothing, cars & entertainment (especially in Sydney) is outrageously expensive. Your last statement is key. I am also amazed by the rise in Australian property prices. Is the commodity correction striking any fear? Lots of China money investors yeah? Unlike every other Western economy (except perhaps Canada? ), Australia didn’t go through a major recession 8 years ago (and hasn’t had a recession for something like 25 years). China buying huge amounts of commodities raised a lot of royalties + taxes for the state & federal governments, who then supported the Australian population with huge amounts of social benefits. Therefore our property in major cities didn’t have a major price reduction either. We also have something called negative gearing in Australia (not sure what it is in other countries) where a property investor can reduce their taxable income by the amount they lose on their net rental. So a wage earning $100K, can get a huge loan, make a $20K rental loss and only pays tax on a $80K income. Reduces their tax whilst hoping for a capital gain in 5-10 years when they sell the property. This has partly artificially kept property prices higher. Lots of Asians saw how stable & growing our property market has been during 2009 (and the 90s) to today, decided it was a can’t-grow-wrong investment and piled in on new buildings (see my first comment). But, the major banks (forced by the Aussie Govt) at settlement now need a 20% deposit for investment properties. So Asian/Australian investors will either have to come up with an extra $75,000 cash deposit (eg for a $750,000 apartment) or sell the apartment quickly at a loss. The Asians might just disappear back to their own country, forgo their deposit, and the construction company is left having to sell the property at a loss too. You can easily see a lot of people selling at a loss. Some commentators are expecting there to be a ripple effect on other properties on low-rise properties and houses. So we’ll see what happens in 2 years with that. The commodity correction is already having some effects on areas reliant on the royalties, taxes and company revenue generated by the resource companies. All mining towns are seeing the property prices + rent halve in a very short amount of time..and expected to drop further still. Perth, the capital of Western Australia (by far Australia’s biggest state and has huge amounts of resources) is seeing its property decline a bit, not much yet though. However Melbourne and Sydney (each with over 4M people, over a third of Australia’s population) aren’t very reliant on resource income. There are a lot of pros & cons to the idea of an Australian recession, so I will make no predictions (who knows what will happen? ), I just hope there isn’t one. Again, the message is leave within your means. The consumerism has shifted from material goods to consuming experiences. Experiencing the best side of the city of the country is must for many people, and unconscionable giving up on it. A while ago, I had a conversation with some relatives living in London. They had this concept of House Life cycle. When you’re young you start with a 1 bedroom house, then when you get in a relationship you move in to a 2 bedroom house. You expand to a 3-4 bedroom house when you have kids. As the kids grow and live the house you slowly downgrade to a 1-2 bedroom house. In the end you used the space you need and when you don’t need it you cash out on the value of the house. You are exactly right about consumerism shifting to consume experiences. This really hits the nail on the head. Experiences are great, amazing experiences sometimes cost a lot more money. Make the decision, accept the trade off. It’s very hard to have both without putting in your dues. Although, early retirement is much cheaper than people know bc there is so much free stuff out there. The house lifecycle is a great efficiency model. Unfortunately, real estate has turned into an investment class, therefore the model breaks down. San Francisco is a funny place. Friends of mine just moved from Knob Hill (Snob Hill) to the Marina for a MUCH lower rental cost. They are embarrassed to tell people they live in the Marina b/c it is so gentrified. Amazing that the Marina is much cheaper than Nob Hill now. You can your provide some data points on rent and price for what you are renting/buying? Marina is great. Love the scenery. Safe. Good parks. But expensive, so I left. Friends lived in a 2 bedroom 2 bath in a modern high rise in Knob Hill for $5k a month. Moved to a much older building in the Marina (think manual gates over the elevators) but the units were just renovated and are as nice as you’d expect in a modern home – in fact nicer than the modern place they just left. Rent is approx $1,200 cheaper a month for a 2 bedroom 2 bath, and they have spectacular views of the bay. Additional data point – friends work in tech/ finance. Only $3800 for a two bedroom, two bathroom condo in the marina that is remodeled with views? Seems $1,200-$1,500 too cheap. How did you score that? I ended up renting in the Sunset and love it – much more affordable with access to nature and parking. But I have to admit, before moving here I was a little biased against living so far away from the action. Create your own action I say! Hey there. I live in Colorado and some trouble we’ve been experiencing in the metropolitan area is that kids are becoming homeless because they’re parents can’t afford the increased rent. Our population has grown a ton since pot was legalized (I’m sure there are other reasons, too), but kids being displaced and unable to attend their schools because of it is a growing problem. I don’t think anyone even thought of it when weed was legalized. Everyone was just worried about their property values, increase in crime (which has increased), and people moving here. I’m surprised to hear your bleeding-heart philosophy regarding evicting tenants through legal means. I know you’re a compassionate person, and so am I, but running rental properties is a business, and at some point you have to let your compassion give way to making money, or it becomes a charity instead of a business. I am not a fan of rent control at all. I don’t think it really helps the situation as a whole. The housing market is still crazy in all of the areas where rent control is in force, and newbies looking to move into the area are still largely barred by the high cost of admission. (I agree with your solution: find a place you can afford in a slightly lower-demand area.) All rent control really does is shift the value of the property from the owner of it to the tenant. I am sympathetic to the octogenarians and the like who are removed from their homes are decades of living in areas they would not otherwise be able to afford, but the more rational side of me is thinking “Wait–why do they get to keep living somewhere they can’t afford if no one else would get to do that?” A lot of people in non-rent-controlled areas eventually just move to lower cost of living places in retirement, like Florida or Arizona (bonus: the ones who move to the sun belts don’t have to spend over $100 per month heating their homes to 80 degrees year-round like every grandparent I know). Why should it be different for elderly folks in San Francisco, when it doesn’t apply to elderly people in Newport Beach? If someone wants to move to San Francisco, and can afford the price tag of the property, and wants to legally evict the current tenant and move into the property themselves, I see no problem with that. That’s the market. Why should someone trying to buy property in San Francisco have to restrict themselves to buying only properties that are already vacant? If everyone limited themselves that way, that would drive up the prices of the available properties that are already vacant, and decrease further the prices of the properties that are occupied by tenants. It’s just a further shift of wealth from the owners to the tenants. I’m against evicting long-term tenants because that disrupts someone else’s livelihood. If there were no vacant buildings for sale in the entire area you want to buy, that might be one thing. But to think solely about money and profiteering with the intent of you diction I think is just wrong. We should do things To help each other, not help ourselves at the expense of someone else. My philosophy on hard work and hustle is an individual endeavor. Me working an extra 10 to 20 hours a week is not going to harm someone else who decides not to. But me trying to make a profit off of disrupting someone else’s life is just too much. If someone wants to move already or is happy to except a payout, then fine. But to even ask someone who does not want to move or who does not except the payout is not worth battling when there are so many other properties available. Does your feeling about not wanting to disrupt others’ lives extend to not giving rent raises? I know SF is rent controlled, so your issues there are different, but down here where rents are governed by market forces, rent raises are part of life. Would you not raise someone’s rent if that was going to compel them to have to find another place to live? I guess I’m wondering where you would draw the line. Ultimately, all landlords face a push-pull between their tenant’s needs and their own. Every rent raise is an action in your favor and against theirs. Same with evictions. Side hustles are a different matter, because it can be truly independent, but being a landlord always involves a conflict between your needs/wants and the tenant’s. In a world where infinite properties are available, and you can choose to buy a vacant one or an occupied one for the same price, of course anyone would choose the vacant property. But at some point, constraining yourself to only choosing vacant properties means you get less choice about the properties you can invest in, and that can cause you to have to pay more. I would guess that vacant properties probably sell for more money than properties that are occupied by tenants, anyway. And what about the seller of the property? If someone bought a property and rented it out to others, like you and I both do, are they then constrained to selling to people who intend to keep the renter in the property? That would limit the amount of money you could get on the resale of your property, so you would get less on the sale. I don’t consider myself to be a jerk or a predatory real estate investor, but my fourplex that I just bought has been neglected for quite some time, which is why the landlord has been charging rents far below market. I bought the building intending on clearing out the tenants, fixing it up, and charging market rents, and that’s what I’m doing. Some of these guys might have a hard time finding a replacement place to live at the price they’re currently paying. For some it might be impossible. But there are only so many properties out there, so I can’t just pass on all the properties that are currently renting below market and only buy properties that are getting full market rents. That would bar me from the real estate investing market entirely in my area. Yes, I feel guilty about raising the rent to always market price. Instead, but I tend to do is raise the rent to market price only after the existing tenant decides to move out. Another strategy I have employed it is to just set expectations when listing tenant moves in by highlighting a rent schedule. Landlords face rising costs all the time with insurance costs, property taxes, etc. so I have no problem splitting the cost with the tenant. Raising the rent by 2 to 5% is not nearly as disruptive as buying A building to completely evict. Raising the rent by 10 to 20% or more is a different scenario. I never do that, even if I legally can bc my rental properties are not under rent control (SFH, and Condo). Raising rent by the rate of inflation, or a risk-free rate of return based on the 10 year bond healed, is just staying neutral. All my tenants understand this, and raising the rent aggressively just creates tension and will cause them to leave, which is also more work on my part. I voted Other because I did not agree fully with any of the options. Specifically, I believe nobody has a ‘right’ to move to an area they cannot afford; however, once someone is established as an incumbent market rate-paying resident, they should not be priced out by newcomers. If you think about it, this principle was codified by and for homeowners when they adopted Proposition 13. As for maximizing existing housing utility, just think of the millions of underutilized homes occupied by empty nesters and single individuals. Great post! I like that you have a good conscience about the human cost of the housing crisis and the abuse of Ellis Act evictions that are so rampant – yet also offer realistic solutions. I think these are things that many people learn as they age, but wish that someone would’ve told them when they were younger. I lived in Nopa/”Lower Pac Heights” (I know old school locals laugh at this designation) and my wife lived in Cow Hollow when we had first moved out here. Of course it was fun and super convenient – but it was also ridiculously expensive. We moved out to the burbs for a few years because of her going back to school and my work being down in the valley – when it was time to return to the city for new jobs here, most areas were way too expensive. But we started expanding our search and found an amazing place (we’re still renters – but concept still applies) by Twin Peaks where we’re paying $100 more than we did way outside the city, have a great pet-friendly apartment with gorgeous ocean views, have plentiful unrestricted street parking, I’m a 5 minute walk from the underground and am at work in 25 minutes, and the wife has a 20 minute drive to work as well. Golden Gate Park, stores, restaurants – all within walking distance or a super short drive (if we don’t want to climb a hill). Even signing a new lease less than a year ago we were $1k under the current median rent at the time, had little to no competition getting the place, and have a wonderful family business for a landlord who are attentive and reasonable (the 86 year old lady still runs the business and calls all the shots!). We’re saving more than we thought we’d be able to while living in San Francisco. I just wish I had been smart enough to look at neighborhoods like this when I first moved to the Bay Area – I could’ve afforded a place of my own AND saved so much more money over the years, instead of being crammed in a shoe box with a bunch of other guys and barely scraping by! There are so many young folks from all over the country moving out here with the current tech boom – and they’re all welcome in my books and hope they learn to appreciate this amazing city and find their part to play in it – but wish they would open their eyes to the non-standard areas to live in…it would help the housing crisis and also their wallets, and if planned right could have very, very little impact on their social life and commutes. Bingo. Expand your search folks. Don’t be so myopic to think you must live in the trendy neighborhood where all your friends are currently living. If someone shook me awake that there were AMAZING ocean view properties in SF, I swear I would have gone ALL-IN at $500-600/sqft in 2010-2011. But I had to wait until 2014 to discover GGH and other properties that I thought were the boondocks. The farthest someone can live from downtown is 7 miles. That is hardly an egregious distance to commute. The housing crisis in SF is very real, but the primary cause is DEFINITELY overzealous zoning laws kept in place by NIMBY homeowners. Allow development and these prices will rapidly lead to an expanded housing supply. But rapid expansion is never going to happen b/c no existing resident wants a big building blocking their skyline or causing massive traffic in their neighborhood. And if more development is allowed, it will take years to build enough to equalize. What’s wrong w/ just moving to a lower cost area that’s less dense w/ much more availability? 40-60% CHEAPER. Prop 13 makes CA really weird. If you’re clean cut (and white and high enough income, etc.) and keep your eye out you can find a lazy landlord still charging rents from 10 years ago who just wants a no hassle tenant to fill the spot asap. Prop 13 also means you gain a lot from buying and holding– when property values increase that makes buying a new place a lot less attractive because your property taxes go way up. Personally I wouldn’t want to commute in the bay area. And once you have kids, school quality makes an enormous difference in housing costs. (Maybe not so much a problem in SF proper since there are charter and lottery options, but elsewhere in the bay.) Not that people should be discounting schools that are anything lower than 10/10 stars, but there’s a big difference between a 1-2 star district and a 7 star district, especially when they have similar SES mixes. If you’re Catholic, you can probably afford private school instead (<$10K/year), but if you're not, it's hard to get off waitlists for Catholic schools and other private schools are extremely expensive (~$40K/year). Call it ignorance, but I consider it Idiocracy in action. If you can’t be troubled to learn and grow, you end up where you deserve. Glad you highlight Hunter’s Point as “worrisome” but toxic waste dump (literally) would be more appropriate. Word to the wise for any fellow area denizens – avoid the area like the plague it is. It has nothing to do with the people, and everything to do with what was done there during WW2 and since. Of course that’s when I casually mention that I live in an Oakland rent controlled 1BR for $1,200/mo. I live with my wife so our per person rent is even less. The closest BART station takes 15 minutes to get to SF so it’s not like I’m in the boonies either. I also have a high income friend living in a high COL area but just rents a room in a house–he pays $900 a month. I guess what I’m trying to say is that although yes Bay Area rents are really expensive, there are ways to be creative. I felt the same way when I was living in NYC. I grew up in the outer boroughs, so I didn’t think it was a big deal–but many of my coworkers looked at me funny when I suggested the possibility of living in Queens. They were OK with Brooklyn–but by then, Brooklyn had become fashionable and their rents were just as bad as in Manhattan–but not with Queens. I guess it’s all related. If people were cool with living in outer areas, then those places would have sky high rents as well. It must be so annoying when they respond with “Yeah, but it’s Oakland.” If they had locked down a rent controlled place like you did years ago, they would be SET. And if they had bought a place in Oakland in 2012, they would be set even more as Oakland has surged more than SF from a lower base. So the question is: Is there really a housing affordability crisis? Or is there an entitlement crisis, AGAIN w/ housing? It’s funny that you mention 2012–that’s when my wife first moved into the unit (I moved in shortly after.) Although we feel extremely fortunate for being able to lock in our low rent, we always lament missing a big opportunity when our then-gentrifying neighborhood had a ton of 1BRs and 2BRs on the market. In 2016, those same units are selling at 2X to 3X their 2012 listing prices. Which is where human nature comes in. $1,200/month in rent split among two people in the Bay Area in 2016 is SO CHEAP. Yet, the $300,000 place that’s now $600,000+ sure sounds even better to make money and live for free during this time. Everything takes a little bit of risk. I had just left my job in 2012, so I wasn’t about to take on more debt. I was looking to simplify and was thinking of selling my house then too! I lament not buying as well, but who knows the future. We can only control what we can control. Complaining about why we can’t afford to buy a house in Pacific Heights now is a useless exercise. I completely agree that a lot of people are unwilling to relocate and also don’t take the time to explore other areas. People often like to stick with what they know because they are lazy or simply ignorant. I admit I hadn’t explored most of San Francisco for years. Once I started to wander out of my neighborhood and explore other areas I was surprised with how many fantastic areas there are around the city and in the peninsula. People also use their kids and school districts as an excuse. I should know I am one of them. In reality Maryland is usually ranked the #1 school system in the US. BUT me being the jerk I am HAD to have the #1 county also. I wish I could go back in time and slap myself. Could have saved about 200K and got the same house elsewhere. MD isnt San Francisco but you damn sure cannot buy anything reasonable in a desirable county for under 550K fixed up will cost you at least 650K on the low end. Excellent point about kids and education. A lot of families send their kids to private school in SF. But as an Asian American who went to public school, I wouldn’t mind sending my child to a public school. That’s why I pay $40,000 a year in property taxes right? The reality is that when a neighborhood becomes non white majority in US, regardless of the income level, most white people will eventually move out. For you, it may not be a big deal for you or others, but I wouldn’t want to send my kid to a majority latino, asian, or black public school. I’d prefer majority white or at least a diverse school SF public school systems isn’t either. It’s funny isn’t it? What you don’t prefer is what minorities face ALL the time by definition! Why wouldn’t you want your white kid to go to a majority non-white school? Most public schools with a majority non white student body isn’t very good. Also, it’s not having any negative feeling towards other races, but I think most people tend to prefer to live in a neighborhood where they’re the majority ethnic group. Even in multicultural places such as SF, NYC, and college campuses, it seems most people tend to hang out with their own race most of the time. I don’t think 1900 square feet is small Sam. It’s very nice size home! :) We live in an older neighborhood, a lot of working class (blue collar, retired people). We love it. We live next to a beautiful park, nice amenities, etc. However, most people see this side of town as less desirable than other areas. Since I (again) picked “other,” I’ll explain, sticking to the market I know best: Washington, DC. Here, there are two major problems. First, because people don’t feel safe in many of the neighborhoods, they shoehorn themselves into nice areas. We’d have a great deal more affordable housing if we had more effective policing. By way of comparison, in 2014, San Francisco had a murder rate of 5.3 per 100,000 people, but DC’s rate was 15.9. (I don’t have the 2015 numbers yet, but I think DC’s murder rate went up.) People aren’t interested in gentrifying in the long run if they’re worried about being killed in the short run. Thus, they try to cram themselves into safer neighborhoods, which raises the price. Second, the housing market’s problem here is exacerbated by the height restriction on buildings: 130 feet is far too low. Lots of people are happy to live in well maintained high rises in suburbia, but no apartment building in the city has more than 12 floors above ground. But the suburbs regularly have people who live on the 40th floor. There’s no reason other than the height limit why DC can’t have tall buildings in the city itself. I think a height limit makes sense in earthquake prone San Francisco, but there’s no reason beyond misguided aesthetics for it here. The problem here isn’t a lack of affordable housing, but we talk about that because it’s less painful than talking about changing the building codes or getting serious about murders. Man, 20 years later, DCs murder rate is still so high. I used to live in NoVA, 15 minute drive away. What you’re saying from a DC point of view is that there an artificial housing shortage, which is the same thing as we have here in SF, and pretty much everywhere. Therefore, we have the power to choose to live somewhere else and just commute or look elsewhere. Nobody deserves to own a townhouse in Georgetown right? You are right in that we don’t have this fear of getting murdered in SF anywhere in our 7X7 mile city except for maybe in the Tenderloin, which is ironically very close to expensive downtown. If the crime were under control then huge chunks of the city would be reasonable to live in, which would ease up some of the pressure on the crummy commute. The Carver Langston neighborhood, for example, is close to the Capitol, but it’s been nicknamed “Cambodia,” not because there are lots of Asians, but because people die there for no reason. People don’t deserve a townhouse in Georgetown, but they do deserve reasonably safe neighborhoods, and the city is failing miserably on that front. They deserve public transit that works the way it did a decade ago. I honestly believe that the crime and commuting fiascoes would have sunk any other city, but the federal government will always keep this town somewhat afloat. I moved from DC to San Jose a couple years ago. Would do it again 100 times out of 100. I don’t care what anyone says: DC and NOVA are not pleasant places to live on top of being relatively expensive. Sam’s reasoning of moving 15 min further away would literally mean 1/4 mile in that gridlocked area. Places like Woodbridge, once offered that kind of respite 30 years ago, but are now 1.5 hour commutes downtown, and is a crime ridden dump. It’s the old East Coast versus West Coast argument. I thought the East Coast was fine until I discovered California in 1998. It took me until 2001 to move out here. I really think the West Coast is such a better lifestyle than the East Coast. I have over 10 years of experience living on both coasts. You left off 1 option; Vote for local government who will stop artificially suppressing new development inflating home prices. There is plenty of land in San Francisco, if the government allows enough apartments to be built, then the housing affordability issue would disappear. Cities like San Francisco and New York have housing artificially inflated due to the combination of rent control and controls on new development. Costs to develop a 40 story building aren’t all that great. You can have average apartment prices in the $300k to $400k and a lot of profits for the developer. Unfortunately in most cities, the government controls make it difficult if not impossible for new development. Here in Chicago, the government forces a developer to either make 10% of their apartments section 8/affordable housing, or donate $175k per unit of the 10% to an affordable housing fund (to avoid having section 8 living next door to market rate apartments). Sounds great in principle, until you see the only new development is ultra high end luxury so that there is enough fat in the deal to pay for the contribution. Most developers don’t want 10% section 8 since this will severely suppress the value of the other apartments. The free market can solve housing affordability fairly easily. There is no shortage of developers who want to make money, who will flood an overpriced city with new development. Housing is a simple supply / demand equation like everything else. As the new apartments become available, older apartments drop in value, and all socioeconomic groups can move up the chain. I look at Manhattan though, and their prices are 30%+ more expensive than San Francisco, with huge skyscrapers all over the island. We’ve begun to build more condos in SF, but it’s still a drop in the bucket, and the condos are priced high. Yes, if we created another downtown in SF where there’s plenty of land, we could alleviate traffic. And if we restricted selling prices for more condos by the gov’t, then more people with certain income limits can afford them. Those are long term solutions. I’m focused on immediate solutions. That is the challenge. If the government restricts selling prices of new condos, then not enough new development takes place. New York prices are so high due to rent control making new apartment development not profitable enough for decades. This led to haves and have nots, either you have a rent control apartment and live well, or you are a newcomer stuck with an inflated market rate apartment. Unfortunately there are no good short term solutions to what is a medium term issue. Within 2-3 years there could be tens of thousands of new apartments in San Francisco, bringing rents down to $2k, and condo prices down to $300k. I beg to differ about no good short term solutions. I’ve just offered three immediate solutions that would instantly reduce how much someone has to spend by 40%-60% while making them happier due to a mental adjustment. I’d love for you to address the solutions I’ve offered. Do you live in SF now and work in public policy/housing? If so, maybe I can interview you for a follow up post as I’d love to learn the math behind bringing condo prices down for $1M to $300K and rent down to $2K from $3.5K in 2-3 years. You would be a genius and we could together, help tens of thousands of people. I do not work in public housing and I live in Chicago. I have lived in Sydney, Australia, which has a similar housing bubble to San Francisco. My numbers are based off what new development luxury high rises sell for in non-housing bubble markets in America. There is nothing special about San Francisco, the land is more expensive, but when building 500 apartments or condos, the cost of the land is not the biggest cost of the project. Even an extra $25k per apartment provides an extra $12.5 million for the land. Unfortunately in cities like San Francisco, it is not politically feasible to open up new land to development. Ironically the same politicians who pretend to be for the little guy, put controls in place limiting the supply side of housing in the name of environmental concerns, not supporting rich developers, etc. These policies ultimately drive up housing costs, hurting those at the lower end of the socioeconomic spectrum the most. I disagree with you about San Francisco being nothing special. Massive Internet and technology companies are all here providing hundreds of thousands of high-paying jobs to people who are able to land these positions. I was thinking about going back to Hawaii to buy a house, and I realized it was much more risky because the income opportunities are nowhere close to the income opportunities here in San Francisco. I truly believe that San Francisco is one of the cheapest international cities in the world. Did you buy or are you currently renting? If you bought when did you buy, and what is your outlook for property in Chicago and Australia? What are the industries there are the driving force behind high pay and potential real estate increase? FS – sorry can’t respond to yours. I question whether SF pay is really that good or not. That being said, it definitely is a tech hub and a significant aggregate of wealth. It’s true, the median income isn’t as high as the difference in median home prices, but the people buying these homes are not making the median incomes. They are making 2-5X the median and combining forces. The difference between median home price and income is a significant indicator of the angst here in SF. The Bay area homeownership rate is only around 52%, but more like 35% in San Francisco. Great article, Sam. I would be curious on your opinion on the barriers to entry to affordable housing, though. Some cities cities push things such as low rise housing or strict zoning barriers to slow new housing developments to “protect the view” or to keep the neighborhood “safe.” The inevitable consequences of the NIMBYism is higher prices which benefits the incumbents but hurt prospective new home buyers. You could make a case the entire housing market is rigged to sustain higher prices since there are so many tax breaks for housing and none for renting. The 30 year mortgage is in fact an artificial creation of the Federal government which is sustained by the GSA Fannie and Freddie Mac. Planet Money did an article several years ago about this which said in the first half of the 20th century, people would have mortgages more in line with a 10 year, 50% down. Politicians and humans in general will always do what’s in their best interest. I can understand why an existing homeowner wouldn’t want a 50 story condo building next to them. Who would want more traffic, or noise, more crime, and so forth? Therefore, it’s much better to blaze your own trail then try to keep fighting a system where you will not win. The suggestions I’ve made in this post are all about taking ownership of what you can control to make yourself a better life by saving money on living costs and expensive cities. Nope, housing like every other commodity eventually finds its equilibrium. The good stuff is the good stuff and people will pay more to live in a great spot until its value to the dollars spent reach the tipping point. Hell in my city to “cool” spots to live always change because the young people who can only afford a certain area move there…it becomes cool, prices go up, then the next hot spot pops up in 10 years. The market determines the value. What I find more interesting is the actual financial myth that buying a home is such a great thing to do…the math really doesn’t lie that in most markets you’d be way better off having never owned. (this coming from a guy who’s made a chunk of change in real estate investing) My advice to those yelling its not affordable…yep and you are lucky you are not getting suckered in to the trap! Why do you think a lot of people who have made a lot of money in real estate tell others it’s a trap and they won’t be able to do the same? Did you sell and not get back in? It is just my opinion that after taking my individual life experiences regarding housing and the financial impacts it has had that I would discourage the average young person from buying a home. You really need to live in one of these outlier type cities and time things right in order to come out ahead. My home is going on the market in the next couple of weeks for the spring buying season. I’ve come to the conclusion that having a $2M + home for a single person is just a little silly. Its paid for and I’ll have a tidy profit, but I only have a profit because I knew my local real estate market similar to how you know the greater SF area. I was able to jump on it at the right time…housing might keep going up, but I think I really am just looking forward to the simplicity of being “homeless” and the mobility it offers. Will I get back in? Yes eventually, but it will be much more simple and size appropriate. My first two homes were economic disasters…and if I were not for me having money from my saving and investing in other ventures I wouldn’t be able to have made such a score on my current residence. The average homebuyer in America is purchasing a lifestyle improvement…not an investment. I would be really interested in your critique of some of the other superbloggers out there that go over the numbers as to why being a homeowner is a losing proposition. (JLCollinsnh, GoCurryCracker, etc.) I get SF/NYC type cities are not the norm, but I wish somebody would have sat me down and explained the math when I was a kid fresh out of school. I think the main issue is people’s unwillingness to relocate. Like you said, less demand would lead to lower prices and lower prices = Paul’s time to shine. In all seriousness, the Mid- Atlantic and from what I hear most of the west coast both have a high barrier to entry for first time buyers. Everything is relative. For renters, they’re absolutely are much cheaper areas to live in San Francisco. Just have to look outside of the common hot neighborhoods. Because the not hot neighborhoods will eventually become hot as well if enough people come. As for buying property, the income here is also much higher. Therefore medium price properties of around $1 million are very affordable based on the income of two people here. I haven’t bought yet in NYC for my own reasons, but like an idiot, I lived for many years in Manhattan at a super high rent. It was a fun life and super convenienet and my friends kept me there as well, but eventually a friend who had moved to Queens had me come out and visit and the light bulb went off. The rents were 50% less and the places about 50% bigger. The food costs were also 50% less. And, with public transportation, my commute to work was only about 10-15 minutes longer overall. Why I didn’t figure this out 10 years ago has me wondering how much closer to FIRE I’d have been, but better to get smart later than never. People still come and visit and one needs to plan a little more socially, but in the end, much less financial pressure and life didn’t change all that much. Better quality with a larger place and less congested. I look now at all my friends who remained behind in Manhattan, living in a box, making the same arguments I did for staying only a few short years ago and hope they reach the same conclusions I came to. Some of the up and coming neighborhoods in Queens are totally underrated. I have some friends who moved to LIC and because they work in midtown their commute is actually even shorter than what it would have been if they lived in certain parts of Manhattan. Plus, LIC has a lot of new development and lots of little stores, shops, and grocery stores nearby-so even though you’d be paying a bit more than other parts of Queens–it’s still got a lot of value. I would disagree regarding LIC. To me, its like Atlantic City…lots of value up on the waterfront, but go in 2-3 blocks and its still a wasteland. Besides, the prices arent generally better tan a good location in Manhatta…I’ll saw the Upper West Side for comparison since its also a good area. Its a trade off, but its not money…just in quality of life, perhaps. You do better if you move further in to places Like Rego Park, Forest Hills and beyond. Still on or close to the express lines and you can really feel the difference in your bank account if you dont need full amenities luxury. Yes sir JK! You are doing EXACTLY what I have suggested in this article. When I lived in NYC, of course I had to live in Manhattan b/c that’s where all my colleagues lived. I also wanted to walk to work b/c we had to get in by 5:30am. I lived in a studio w/ my HS friend. It kinda sucked. But who cares! I was young and we saved money. 50% less, 50% bigger. It is the SAME EVERYWHERE you go in every major city if you are willing to commute a little farther. Not only is the food cheaper, even the shoe repair shop, the hemming, and haircuts are cheaper. What kept me in Manhattan so long was the social aspect. There is culture and things to do EVERY block. And all your friends are a few blocks from you as well. What you overpay for in Manhattan in the convenience factor. Close to work, friends, fun, everything. Once you get acclimated to that, it can be hard to pull away. I should have gotten smart a decade before I finally moved out, but again, better late than never. Manhattan may be easier to move away from than other metro areas due to the actually much better than average public transportation systems. LIRR/Metro North/MTA subways and buses. You can really move away and you’re still only an hour or less from work and you dont have to necessarily drive or own a car (I don’t). People don’t know why until they move. Then it’s like “AHA!” It’s like eating an expensive dinner out. Of course you are going to justify the cost, otherwise you will feel stupid spending $200 for mail the taste just as good as a five dollar in and out cheeseburger. I wish I had your in-depth knowledge on my local market, Chicago. Real estate investing is new for me, so I won’t speak ignorantly about our market, but I have been studying the rental market in Chicago. There are inexpensive places to be found even in hot neighborhoods, but most of the people I run into accept high prices as a matter of fact. I live in one of the most expensive areas of my city and we have half the rent of those around us. Part of the reason is that, like you suggested, we live in a smallish (700 sq ft) one bedroom. For us, it the perfect amount of space, for now. We could afford more, but we’re aggressively saving to buy own place next year. The solution is typically to rent in a less hot neighborhood, but there are deals to be found if you look long enough. Part of our solution came because we moved close enough to walk to work. The slight premium on our condo is outweighed by the gains from not needing a car or public transit. I laughed out loud when I read “outdoor blogging hot tub,” haha! Such good value in Chicago compared to SF or Manhattan! I just wish the winters wouldn’t kill people who pass out on the streets. That’s kinda my bar: if you can pass out on the street in your city in winter and still live, and actually wake up refreshed, the place is where I want to be! This winter has been extremely mild, although I believe that is true across the country. We had some real serious winters two and three years ago and I saw about a dozen friends move to Texas or California. I view Chicago as a great place you can build a career and wealth at the same time. Manhattan & SF appear to be a massive drain on the finances unless you play it real smart with living conditions. I regret showing my girlfriend that bathroom redesign, haha. Our future goals now include such a luxury. This winter has been relatively mild compared to some of the harsher winters from two and three years ago. I had about a dozen friends move to Texas and California during those years. Chicago has the opportunity to build a career and wealth while in your 20s. The chances of doing that are much more limited in SF & Manhattan. I regret showing that hot tub redesign to my girlfriend, haha. Now our future goals include such a luxury. Another solid post – the cost of real estate is garnering a lot of attention these last couple of years. My friend works for a large RE investor, and he said it is striking how much of the appetite for US real estate in major cities (commercial/hotel/luxury) is from foreign investors. With so much turmoil around the world, his counterparties abroad are hoarding money in NYC, SF, and other prime areas – sometimes at cap rates of 2% and lower. This sentiment in 2016 appears to be as strong as ever, supported by this referenced survey of foreign RE investors. It is funny – in the advent of remote work and telecommuting, I took a view that companies would abandon the notion of expensive office buildings and complications of a commuting workforce in favor of more work-from-home. I also thought that people would leverage the technology to leave places with poor climate, high COL, old infrastructure, and the like in preference of up-and-coming areas with better climate and quality of life. However, it appears that Americans are staying put in the northeast metropolis at least, and flowing in on net. I suppose there is significant movement to southern and western US cities (Denver, Austin, SF), just not at the rate I had speculated. I think I have read an article about that, some folks would like to reduce the number of foreigners buying in the US because locals cant match (It was about NYC). Yeah you are right, these cities are ranked high ! I live in Hawaii (Honolulu) and I do agree that there are affordable places here if you are willing to do the research and scope out the neighborhoods that still give access to town but at a cheaper cost. In the Philippines, the rule to own a unit in a condo states something like no more than 50% of residents can be non-nationals in said building. The rest either have to be citizens or through marriage, can own property, all this to protect local people and prevent investor-minded people from displacing those who would benefit. I’m sure it would be great to have more protections for people who live and work in their respective cities to be able to get first dibs on housing. Not sure about affordability in some areas! The Chinese are coming. And the Russians are already here. I have a post in the wings about how to profit from the wealthy Chinese. We have to accept reality that in major US cities, foreigners do indeed want to park money in relatively safer US assets. Or at least they want to diversify. Look what’s going on in Brazil, China, Malaysia. Currencies are depreciating aggressively and the economies are on shaky, shaky grounds. Queens baby! I wish I bought that 2/2 on 21st and Madison in 2000! The Chinese are already there, buying condos for their toddlers in NYC (true story). FS – 21st and Madison? Maybe you mean Broadway? Between Madison and broadway near the park where shake shak is. Can’t wait for this article. We bought in Battery Park in 2013 and sold last year with 46% equity gain. Chinese and Eastern Block cash was a big contributor to the increase in value. I am an American who has lived as an expat in Asia for the last 13 years, about ten of those in China and its been fascinating to watch how things have evolved. With all the government pressure on the wealthy in China I think the US is still primed to benefit from continued investment and it will be a great space to track against. Pumped for the post! Why did you sell? And what have you done with your proceeds? We invest a lot in real estate and have been moving around, having kids etc… So there are a lot of factors that drove the sale but the biggest drivers were 1) We received an unsolicited offer and countered with an amount we didn’t think they would take as we weren’t actively looking to sell. The amount represented what we thought would cover a good amount of the opportunity cost for not staying in a growing market. They accepted. And 2) We have been looking at SF for a while and just got into an new development in Pacific Heights and plan to use the proceeds for remaining payments there. We are long on the market for both investment and long term family plans so it made sense on multiple levels despite the potential short term risks (look at Paragon-re a lot and notice boom bust cycles are shorter in SF, and of course FS data points help as well :-)) The development is actually pretty cool as well, have you ever looked at new Condos in SF for investment? You are right – Queens in general is HOT right now! I am in a similar situation to the one you described – racing against the clock with a corporate job and multiple side businesses to buy a multifamily in Jersey City, NJ (across the river from Manhattan). The window is closing, even to sensibly buy a foreclosure off the courthouse steps in this area, but deals still come up where you can cash flow off of rents (net of vacancies and operating/financing expenses) without having to rely on equity appreciation. It’s not going to last much longer, barring a downturn or some black swan event, and the market is increasingly cash buyers, with the exception of those who are willing to carelessly pay retail sticker price. Augh! Ticks me off, all those empty luxury apts. bought by foreigners, either as investments, or as an occasional place to stay when in town once in a blue moon. If you’re going to buy space in an overcrowded city, at least live in it–it’s like dragging a meal in front of starving people and tossing it in the garbage. I agree, I think that people need to be much more open about living in other, lower-cost areas. Most places will have nearby areas where you can live for much cheaper. I think everyone is getting up in arms because relatively poorer people used to be able to live in the “expensive” areas. People don’t like chance. People don’t like accepting that while their parents lived in nicer areas (or they did themselves, when they were younger), they might not be able to afford it any longer.